Section 75 is an important but little known law. Part of the Consumer Credit Act 1974, it offers legal protection to credit card users in the event that something goes wrong with a purchase. In essence, Section 75 means that, within certain limits and with certain caveats, your credit card company must bear the responsibility if, for example, you pay for a product that never arrives. The intention is to prevent credit card users ever paying back a loan for something they did not actually receive. Section 75 can be used in a variety of circumstances. For example, a credit card company might be held liable under Section 75 if you were to order a product online that did not actually arrive. Similarly, it offers fantastic protection against the potential for companies to go bust. For example, if you were to buy a sofa from a furniture company that then ceased to trade, you would probably be protected under Section 75. This kind of risk has been illustrated all too starkly in recent years with the Farepak and Wrapit collapses. This case study concerns a woman who purchased a sofa from a furniture retailer that recently collapsed. It was a high profile company, and many people were left with unfulfilled orders as a result of the company’s insolvency. "I knew that many people would have lost money when the company went bust," she said. "I couldn't afford to see my money vanish." The woman paid £450 for her order, and paid for it with a credit card. Had she used a debit card, Section 75 would not have applied – it is important to remember that this part of the law is only applicable to credit card purchases. Furthermore, Section 75 applies only to purchases with a value of between £100 and £30,000. 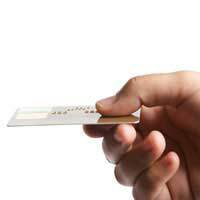 Under Section 75 the credit card company is held “joint and severally liable” for any problems with an order. In this case the woman had a claim against the furniture retailer for non-delivery of goods, and she could therefore make the same claim against the credit card company. The woman first contacted the furniture retailer directly. "The retailer was a big company, and the administrators put ads in the paper telling customers who to call. I phoned the company directly, but was told there was nothing they could do and that I should call my credit card company." In fact, there is no necessity to contact the retailer at all; the liability of the credit card company under Section 75 means that they need to pay out regardless of the retailer’s position. The woman then spoke to her credit card company and explained the situation, making clear that she wished to make a claim under Section 75. She was then sent a claim form to fill out. If you are planning to make a claim it is worth remembering that not all companies will do this; some call centre staff still don’t know what Section 75 is, and in these circumstances you will need to write a letter outlining your claim. In this case the process was very smooth; having looked into the woman’s claim the credit card company refunded the £450, removing it from the outstanding balance on her card. Some are not so lucky, though; if you make a claim and your credit card company is dragging its heels or refusing to offer a refund, you should contact the Financial Ombudsman Service. They will tell you how to make a complaint. Most claims are settled at this point. Section 75 is an important piece of legislation for consumer protection. But it is vital to remember that, in order to take advantage of it, any purchase with a value of more than £100 should be made on a credit card wherever possible. Hey guys,im soon gonna start a job and I been on job seeker allowance and house benefit for 6 months. and I haven't paid any tax in my life. cuz I just start working. my salary will be £780 per month. can you guys tell me how much they gonna take out from my paid (tax)? I will get paid by cheque. will they be able to get any tax reduced through cheque?Thanks for reading this and will be great if you can reply me back. I have heard that it is not quite as simple as this. If for example you purchased 6 stools on your credit card for £594 (i.e. £99 each) and delivery was never made then you would not get a refund from the credit company as no single item was more than £100. In other words the threshold value of £100 applies to the item value and not the order value. Is this correct?